For most, and certainly for myself up until I was enlightened by this three-disc set, Brainbox was just some band that Jan Akkerman and Pierre Van Der Linden were in before the formation of Focus, and their one self-titled album (and especially the side-long track “Sea of Delight”) received some occasional airplay on US underground FM radio in the early 70s. 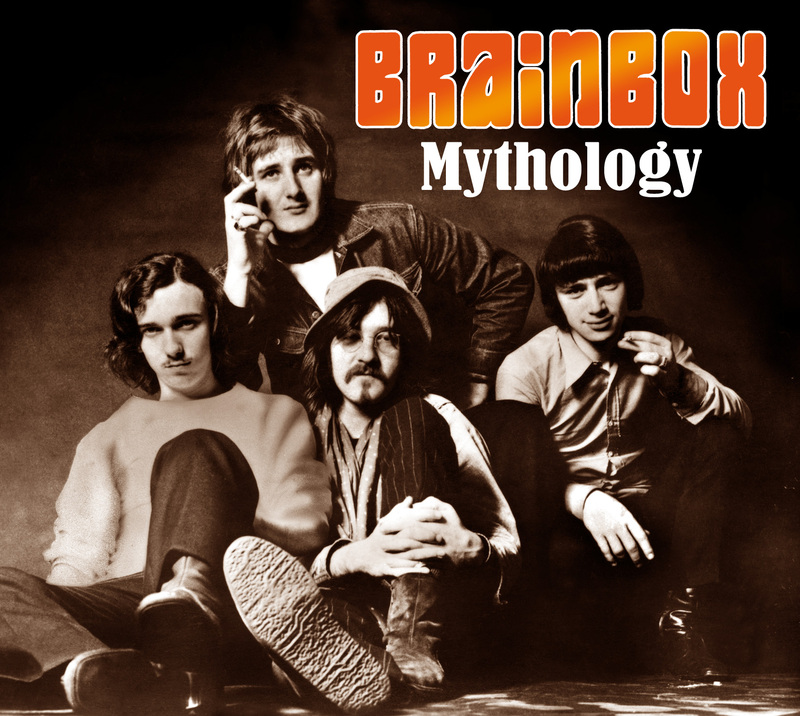 That’s only a small part of the story, though, and this three disc set tells the whole Brainbox story, including all the singles, b-sides, demos, and the aforementioned long player, up until original singer Kaz Lux and several other band members quit the group in the early 70s, leaving the band’s manager to build a new band around remaining bassist Andre Reijnen. Of course by that time Akkerman and Van Der Linden were already long gone, now making waves with Focus. All the material from the eponymous LP is here, although some of its songs are split amongst the first two discs in the set, amid the band’s many singles, presented in mono and stereo versions when both exist. Some of the band’s best work is from the period after Akkerman left, when new guitarists Rudy de Queljoe, and later John Schuursma stepped in to take his place, creating a five-piece Brainbox with two guitarists. The 1971 de Queljoe penned instrumental “Mobilae” (presented in both single and demo versions) has to be one of the finest pieces the band ever produced. But there are many more gems to be found here among these three full length discs, including alternate versions of singles and album tracks (including a 29-minute version of “Sea of Delight”) and much more. With a 20-page booklet with exhaustive liner notes and many rare photos, Mythology is the definitive historical artifact covering the best years of this unsung band.